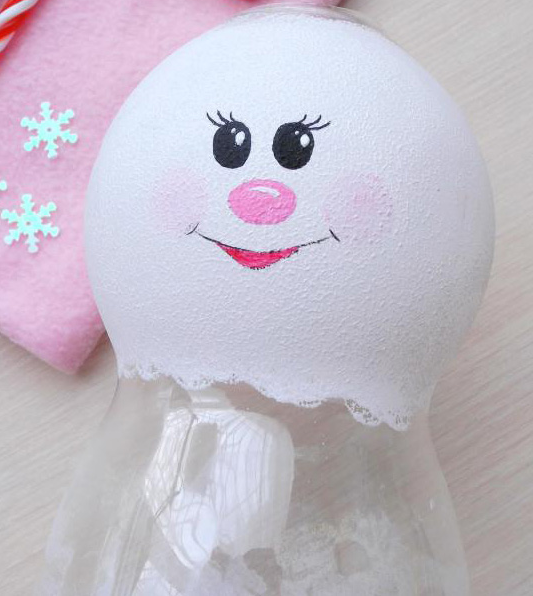 Let’s look at step-by-step instructions for creating such a cute snowman from a plastic bottle. 1. First, we need to cut the plastic bottle and connect the two parts together. If it is not easy to do, it is possible to try to heat a place of connection of details a candle or a lighter. After we have connected two parts, toning our product with the help of white. 2. We wait for the paint to dry and begin to paint the face of our snowman. 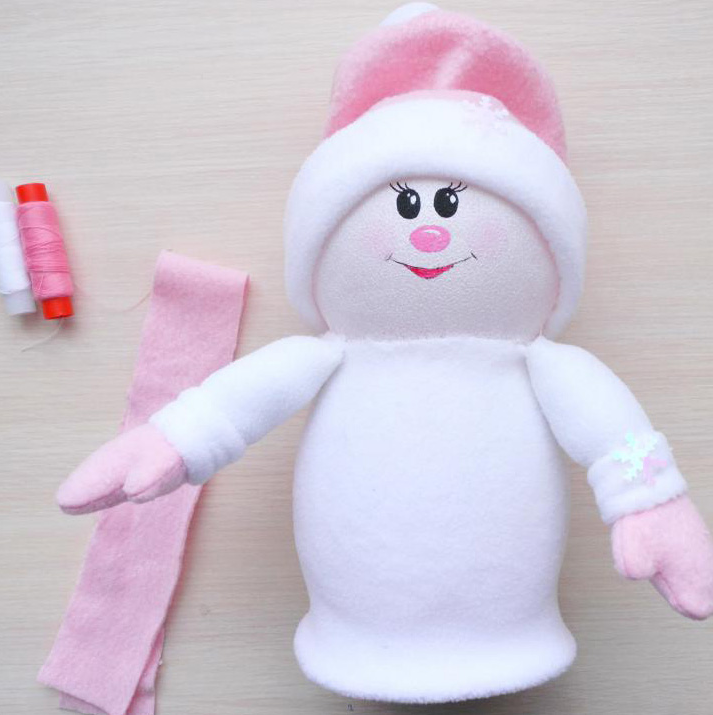 Leave the product to dry and in the meantime can sew for him mittens and hands. Curve hands can be seen here. 3. Now we can start decorating the snowman. 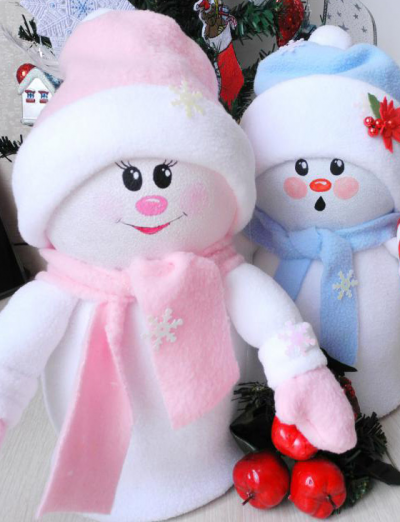 You can make cap, scarf or other decorate. That it was not visible the bottom of a bottle, it is possible to make it long clothes in a tone to belilam or a tank-top and to decorate it with buttons. All! Our Snowman is ready!